(Video) Want To Know How To Keep New Year Resolutions? Here’s Five Ways! Realistic goals, monthly updates, partnering up, and using a health coach can help to make your New Year resolution successful. It happens every year. Everybody sets out to begin the new year with positive lifestyle changes–some simple, some wildly ambitious. Everyone intends on this being the year that we finally follow through on our goals. And, for a while, it really does seem to be going well! The January healthy lifestyle bump is an annual trend; in fact, many businesses account for it in their commercial predictions. Gyms account for spikes in membership at the start of the new year, and health food sales likewise see an annual January increase. And then, without fail, the spike begins to drop as formerly committed self-improvers one by one begin to abandon their New Year’s resolutions. So what can you do to be one of the few that holds to their resolution all year round? If you want to know how to keep your New Year resolution, here are five tips that can help you to stick with your resolution even when the going gets rough. The vast majority of abandoned resolutions result from three factors: Overly-ambitious goals, a lack of long-term motivation, and limited time. Take a minute to read over these five helpful tips for keeping your New Year’s resolution; they can make a huge difference in helping you overcome the obstacles that stand between you and the goals you’ve set. If your motivation for losing weight is to look better than someone or match an unrealistic standard seen in advertising and movies, you’re not going to make it. Lasting change requires lasting motivation. Dig deep, and you won’t be easily uprooted. If you’ve eaten meat three meals a day all your life, will you really be able to go fully vegan overnight? If you’ve lived a sedentary lifestyle, is running five miles daily a realistic goal? Many resolutions are dropped because they are overly ambitious and, therefore, unsustainable. Set a realistic goal that–if you’re completely honest with yourself–you’ll be capable of keeping. Setting monthly goals and reassessing at the beginning of each new month is a good way to maintain motivation. As time goes by, it’s easy to lose track of an annual goal; a monthly goal is often more manageable and practical–plus, you can adjust to accommodate your progress, rather than letting your lifestyle changes stagnate. Wondering how to keep a New Year resolution? Ask a friend. No, really–ask a friend to share your resolution with you. Having a buddy for activities, a partner for accountability, and a bit of friendly competition can make all the difference in standing by your resolution. 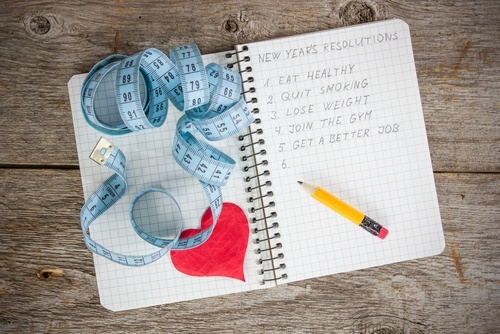 A Health Coach can be a great asset for keeping a New Year’s resolution. They offer knowledge, experience, and assistance with planning, scheduling, and implementing your resolution. They have the resources needed to help you determine what actions you need to take in order to achieve the goals you want–and help you to follow through. Following these tips can help you to set realistic goals and successfully maintain your resolution year-round. If you’re interested in connecting with a Health Coach, Wellworks For You would love to help; if you want to know how to keep New Year resolutions, they can help. Wellworks has the skills, knowledge, and resources needed to ensure that this year’s resolution is a successful one.